Available now on Spotify: http://bit.ly/lovingyoulikethis Live: 14 - 16 May The Great Escape, Brighton Loving Like This marks the introduction from newcomer, Sabella. At only nineteen its almost intimidating the confidence Sabella displays in her songwriting and by the nature of the track’s narrative, her maturity to acknowledge the time spent wallowing in longing and heartbreak is time ill spent. 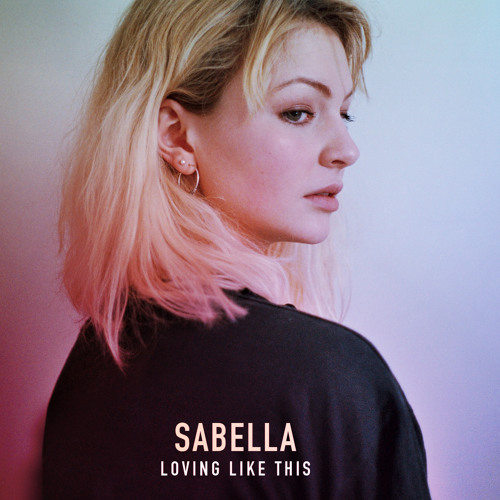 Clocking in at just under three minutes, Loving Like This exemplifies Sabella’s lack of necessity to spend on the subject of the track and provides a small open window as to what’s to come from the soon to be announced EP. Raised within earshot of Glastonbury, Sabella’s writing was born and inspired by her love for literature. With an intuition for story telling, from a young age, she began to write her own short stories and poems, which she soon found to be the best way to express her feelings. Her writing then naturally progressed into song lyrics as her interest in music grew she begin to experiment with her own recordings. After being introduced to producer, Authr, the pair set about exchanging ideas and formulating the recordings that make up her debut release, due late Spring 2015 on Best Fit Recordings. What a killer song to stumble upon by accident, love the sounds & lyric content, i hope you go far girl! Hello sad, sultry sax. I've missed you.